You value yourself based on the time, energy and money invested in your well-being. Ego is different from knowing your value. Some people demand respect. While others command. To demand respect is to tell others, “You will respect me”. To command respect is to have others observe and admire your actions. Whether you demand or command is based on how you treat yourself. How you dress up. How you carry yourself around. What books you read. What people you spend your time with. If you are busy improving yourself. If you are busy learning new skills, reading more books and lifting weights. It will reflect upon you. Taking care of your health, hygiene and your mind is a behavioral trait. Behavior is how you conduct yourself. Nobody will respect you for being unhealthy/uneducated/unhygienic or for hanging out with a bunch of lowlifes. Who’d you value more the man who is getting wasted or the man who is building himself up? Take care of yourself. You teach people to respect and admire you. Time is the most valuable equity that you can use in your favor. Most people are busy doing nothing. Don’t be one of them. Cancel your netfilx subscription. Cut off social media. Cut off people who don’t know where they are headed in life. Sleep little. Respect your time and invest it in bringing more value to your life. What you do with your time is up to you. If you really want to be the best you can be, you must actively spend your time mastering your craft and avoid other pursuits. I learned to value my time in the gym. Get in. Get the work done. And get out. Once you start valuing your time, you’d learn to say NO! Instead of lounging or just hanging out I chose to sweat. Why? Because I value my body more. Because the dopamine rush I get from weight training lasts longer than the momentary pleasures of eating junk. You have to set your priorities. You have to learn to take care of your mind, body, and spirit. Put a higher value on yourself and others will do too! Gentlemen love, respect, and be proud of yourself. 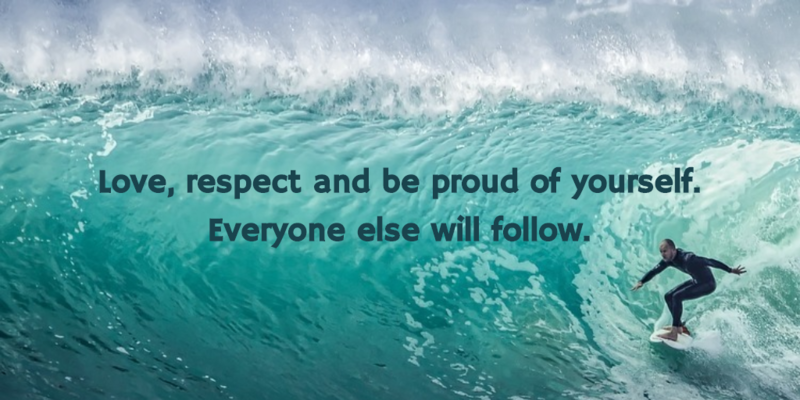 Everyone else will follow.